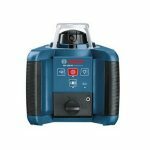 The Spectra Precision LL400 Laser Level is an automatic self-leveling rotary laser designed for medium and large commercial worksites. The fully automatic Laser LL400 sets a new standard in rugged reliability, handling a wide variety of general and concrete construction applications. Even in tough job site conditions, the LL400 consistently delivers reliable, accurate performance to increase your overall productivity and cost-savings. The LL400 transmitter is needed where extreme accuracy or long distances are crucial factors. 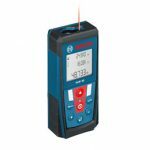 The HL700 Laserometer receiver gives a digital record of elevation for fast elevation instructions. Designed on its own make the HL700 Laserometer receiver can increase production by as much as 25% through the digital era. 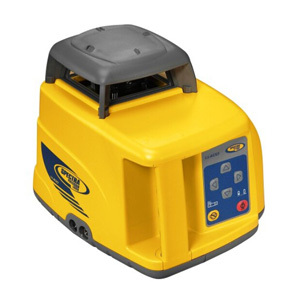 The less training and self-leveling of this laser reduces costs that might have been incurred in performing of the setup of the machine and this boosts productivity. This protects transmitter head and offers top quality weather protection for the laser. The durable make up decreases downtime due to drops and tripod tip overs. 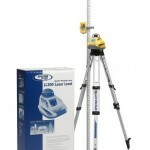 At the stipulated height above the laser gives precise measurements. This is not to say it does not perform at other heights but at the length given the machine produces its finest work Accuracy of ±1.5mm at30m (±1/16 in at 100ft). 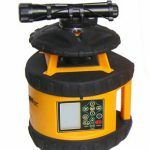 This makes the unit ideal for big projects which are Range (Diameter w/HL700 receiver 800m (2,600ft) and cannot be handled by the smaller rage lasers. This makes the laser be able to perform the short range and the long range work. This laser is water and dust resistant, this means under the exposure of both the machine cannot succumb and still can offer unrelenting performance in harsh climatic conditions. This provides long power maintenance more than 90 hour run for reduced operating costs. 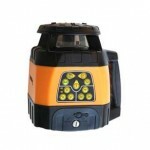 This is a substantial advantage for the laser as it can offer services without the fear of power breakdown. The LL400 has a 5 year warranty on the laser. This ensures reliability and reduced cost operation. 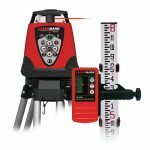 This automated LL400 Laser Level has set a new trend in the face of lasers reliability. Performing a wide variety of functions and concrete production applications, it offers unrelenting continued support to contractors and businessmen in the commercial sector. It is able to work under the tight and tough climatic and environmental conditions. The LL400 consistently delivers reliable, accurate performance to upsurge overall productivity and cut down the cost of production.